Three months ago, Niall Brennan was appointed president and executive director of the Health Care Cost Institute, a not-for-profit organization based in Washington, D.C., that focuses on improving price transparency through the use of insurance data. He succeeds David Newman, a health policy expert who had led the organization since its founding in 2011. Brennan was the CMS first chief data officer. 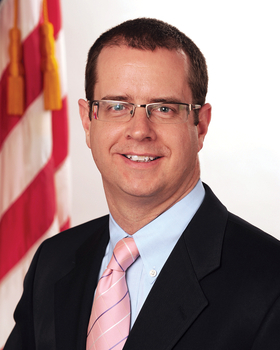 Appointed in 2014 during the Obama administration, he is credited with significantly improving data transparency at the agency. Brennan also led advancements in data collection and increased the amount of CMS data available to outside sources. He recently spoke with Modern Healthcare reporter Maria Castellucci to discuss his plans for HCCI, the future of transparency in the industry and how consumerism is changing healthcare. The following is an edited transcript. Niall​ Brennan:​ I am thankful to David Newman for his careful stewardship of the organization over the first six years. And in some respects, I am going to build on David's work and in other respects I may expand into new areas. I definitely want to position us as a national thought leader on healthcare spending and utilization generally. Obviously, given my role around data liberation as chief data officer at CMS, I would like to work to expand access to HCCI data in a responsible manner to ensure that more researchers and other partners have access to our data. I would love to work with other payers to incorporate their data into HCCI. The final two things are to be a great Medicare-qualified entity and to help states with the difficult and often expensive work of building and maintaining their own all-payers claims databases. Brennan: We were founded by four very large players in the U.S. healthcare system: United (Healthcare), Aetna, Humana and Kaiser (Permanente). For the first couple of years, there was an element of caution, and a justifiable element of caution, in terms of who or which researchers had access to the data. So it's a relatively small number of researchers right now who have access to the data, plus some critical organizations like the Congressional Budget Office. The data have been adequately road-tested by this smaller number of researchers, so the payers have an increasing comfort level, based on that research. Now we can explore expanding the pool of researchers to have access to the data. Brennan:​ It can have a huge impact. I just came back from the Academy of Health's annual research meeting in New Orleans, and that is a meeting with 2,500 health economists and health services researchers from around the country all using healthcare data of all shapes and sizes to try and better understand how the healthcare system works, both from a cost and quality perspective. Not every research study is going to hit it out of the park, but the very best research studies have been shown to influence public policy over the years. HCCI data was historically done using Medicare data only and small pockets of commercial data, which was great, but we are a big country where a lot of people receive healthcare coverage outside of public systems like Medicare. So it is crucial to better understand these populations and their trends and their utilization of healthcare services, so we can better target policies for the future. MH:​ We​ talk​ a​ lot​ about​ consumers​ paying​ more​ for​ their​ healthcare.​ Do​ you​ see​ the​ desire​ for​ more​ cost​ data​ increasing​ as​ a​ result​ of​ this​ and​ will​ HCCI's​ role​ become​ even​ more​ important​ in​ our​ current​ climate? Brennan:​ I think it can. The reality is that many healthcare consumers in the past were . . . you could almost argue they weren't consumers, at least in a shoppable sense of the word. Sure they were consuming lots of healthcare, but they were doing it with very little thought to the bottom line, because with many, with the exception of the uninsured population, obviously, many of them were protected by relatively generous health insurance coverage. So, obviously, structures and incentives are changing in the healthcare market for providers, patients and payers alike, and there is a move to more consumer activism driven by health plans with higher deductibles. For folks in those plans, you are going to have more of an interest in what services actually cost. And we have tried to tap into that interest in our own way using our data to launch a service called Guroo.com, which allows customers to search among common "shoppable" medical services, because not every medical service is shoppable. If you are hit by a bus, and in an ambulance on the way to a hospital, very few people want to whip out their iPhones and start doing some comparison shopping. But for services that are shoppable, we and others have built tools to try and help consumers navigate what is a very complex situation. MH:​ Why​ is​ it​ hard​ for​ consumers​ to​ shop​ for​ healthcare​ like​ they​ would​ in​ other​ industries? Brennan: The easiest and quickest answer is that healthcare is different. It is easy to make a comparison to how people shop for services in the economy and say, "Why can't healthcare be more like the rest of the economy?" But healthcare is different and it is different for reasons going back to some of the seminal health economics work in this area, dating back to the 1960s and 1970s. But probably the most important one is this notion of information asymmetry. The fact that when you are sick—you are not a doctor, you place yourself in the hands of a healthcare professional and in doing so you, in general, know very little about the specifics of the care that you are getting. You don't have the information to negotiate with the provider at the point of care. I'd also push back that consumers are amazing negotiators in other aspects of the economy. Cars and car care are probably a good example of a high-dollar service where oftentimes people spend more money than they should because of a lack of available information. There is a middle ground where if more information is made available in a format that consumers can understand and react to, that can help consumers make better decisions. Now this is not going to be transparency or better information in and of itself. It is not a magic bullet or a cure-all. It is one part of an extremely multifaceted and complex solution to try and fix an extremely multifaceted and complex problem. MH:​ So​ with​ Guroo.com,​ is​ that​ an​ effort​ to​ make​ the​ information​ a​ little​ bit​ more​ digestible​ and​ readable​ for​ consumers? Brennan: Exactly. If you go to the website, it is very easy to navigate. You can search visually by touching parts of a stylized body to look for an appendectomy or hip replacements, etc. And then it gives you true costs or prices paid, not just charges. The other thing with Guroo is that healthcare is rarely a discrete, single service. For many instances, it is a series of two or three or four and sometimes 15 or 20 or 50 different services that make up a bundle of care, and so we have given people the ability to search by bundled care. Brennan: Yes, we are hugely excited about our state strategy. It is still evolving, but we did recently begin working with the state of Florida to build a Florida-specific transparency tool that residents will be able to use. What we are particularly excited about is while, again, we have incredible data resources here at HCCI, we obviously only have the data that we receive from United, Aetna, Humana and Kaiser. But because we are now working directly with the state of Florida, we will be receiving data on covered lives in Florida that we believe will approximate to about 90% of insured folks in Florida. It will provide a reasonably comprehensive picture. So we are going to do two things in Florida: We are going to build out this transparency tool with additional Florida-specific data that we will combine with our existing data holdings, and then we are also going to build and maintain an all-payers claims database for the state of Florida that will be available to researchers. And we would very much like to replicate that model in other states going forward. Brennan:​ The challenges are around clear presentation in a format that consumers can understand and engage with, and then marketing and branding the solution to consumers. There is always a danger that if you build it they will not come. And so, if folks are not using the transparency tools, you have to again look at the underlying factors behind that. Maybe it is a problem with the transparency tool, or maybe it is a problem with the underlying incentives when consumers say that they still don't feel compelled to shop as aggressively as people might think they should.